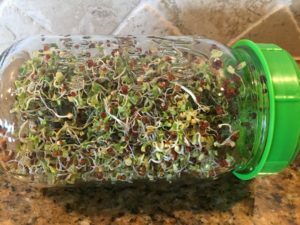 DYI Broccoli sprouts are delicious and good for you! If there is one food that is a standout as a super food I would say broccoli sprouts are in the top 10. Broccoli spouts are a cruciferous vegetable that contains 50 times more antioxidants than mature broccoli. The key is to make sure you buy organic broccoli seeds. These are harvested in only 4-5 days and can be made in the convenience of your own kitchen. A 3 ounce serving is considered a low carbohydrate vegetable and provides 35 calories, 5 grams of carbs, 2 grams of protein and 4 grams of fiber. 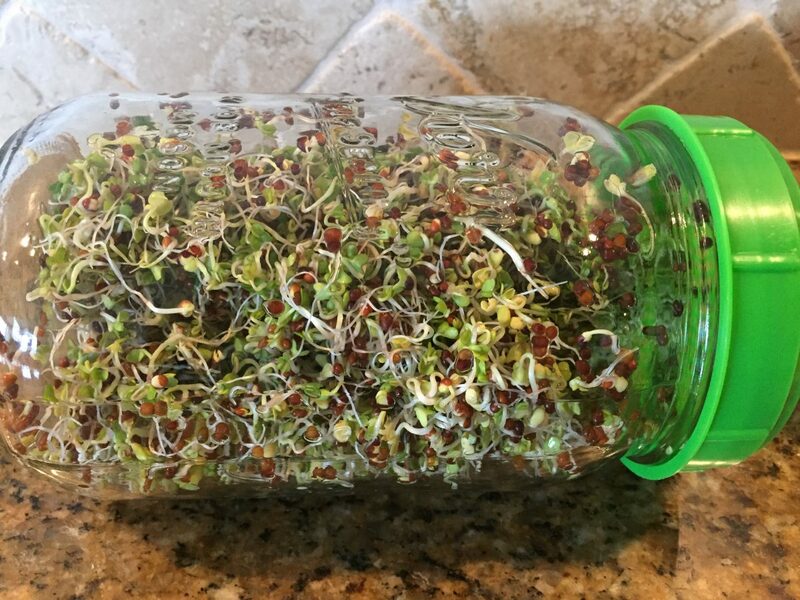 Raw spouts found in a grocery store can present a risk for contamination, but when you sprout them yourself, correctly in a clean ball jar, rinsing 2 x day and then refrigerating after they are sprouted, you are reducing the risk for contamination. With all that nutrition and a fun way to make your own food, why not make them yourself and discover the crisp, delicious and healthy addition to your diet.